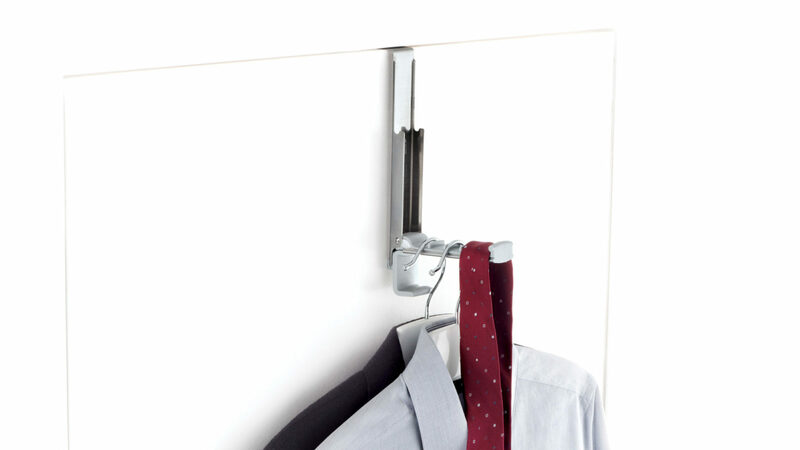 This versatile door-mounted hook easily transforms from single, compact hook into ta multi-hanger valet. 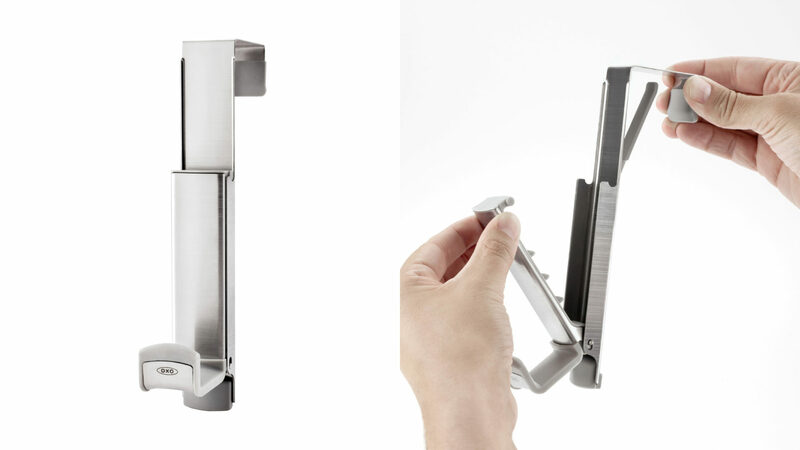 When flipped into valet mode it easily holds several hangers, perfect for closets, bathrooms or dorms. The flexible door-mount opening of this versatile holder adjusts to all door sizes, while the non-skid surface protects from scratches and dings.